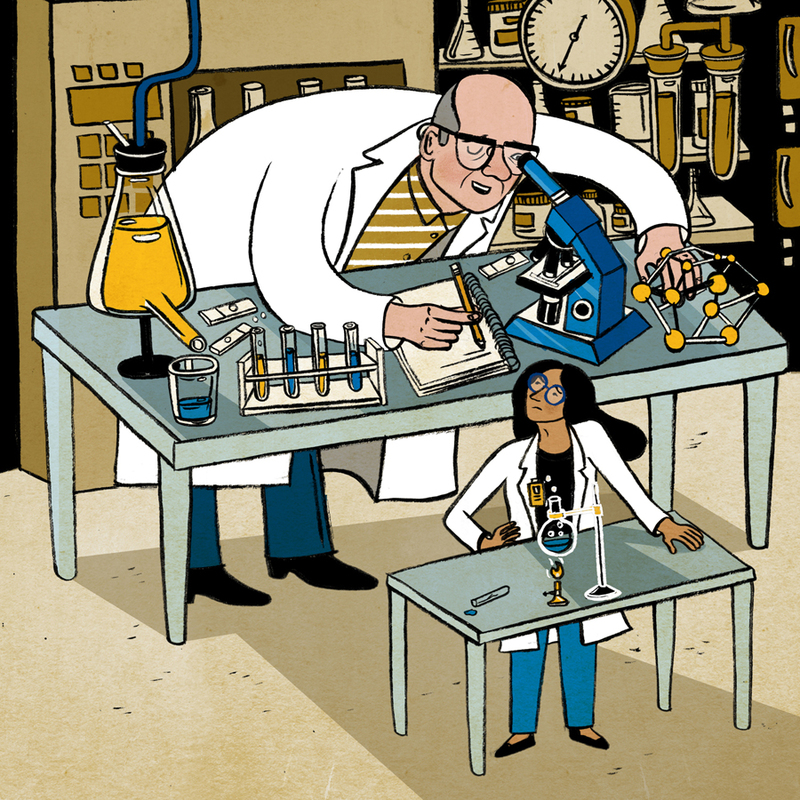 Here’s a wonderful piece illustrated by VIDHYA NAGARAJAN for a great article featured in Scientific American Magazine. The article for the Policy and Ethics section is called “How to Fix the Many Hurdles That Stand in Female Scientists’ Way. Woman face discrimination of many kinds. We need a culture change.” I hope this movement has many driving forces and that we’ll see less and less discrimination as time moves forward.